In this article, I'll walk you through a discovery path that shows you the anatomy of Commercial Software Development and helps you identify whether you're a good candidate to get involved. Finally, I'll present an outline of various steps you'll need to follow. Are YOU the right person to get involved? Chances are, that you wanted to see the opening paragraph on something like "Have you got the right target product?" A venture capitalist who can acquire the necessary financing. If you meet all of the above requirements, you may have a chance! Do you want to know why? Getting involved in development of commercial software isn't just a programming decision; it's really a business decision that also involves programming skills. What are the critical phases you'll be going through? There are a couple of strategic phases up front: selecting the industry and laying out a development plan. Afterwards, you've got some tactical phases to deal with: development and testing, sales and marketing and product support. In this phase, you'll identify whether the target industry of your commercial product is the right one. Thus, if you've been approached by a particular industry to develop a product for, the outcome is a "Yes/No" answer. If, on the other hand, you don't have a particular industry to evaluate, you'll go through an elimination process that helps you zeros in on a target industry. Furthermore, you'll explore your target industry, looking for a pilot client that will effectively be your partner through the upcoming development phase. Saying "NO" and doing nothing at all is an acceptable -- and often the most viable -- outcome of the industry selection process. 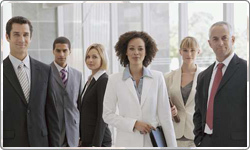 You have personal experience in that industry and know its various business activities. The existing software products in that industry haven't saturated the market. In selection of your target industry, timing is everything. Don't just rely on your "biased" background. Instead, be very objective and look closely at how well that industry is doing, compared to other industries, and within the current economic cycle. Once you're comfortable with your selection of the target industry, it's time to find "a partner." By that I don't mean a programming partner, but rather "an insider;" a firm within the target industry that's ready, willing, and able to be your first client, even before you start the development. We'll call this most valuable resource of the development phase, the Pilot Client. I can't emphasize enough how important it is to select your pilot client wisely. Even within the right industry, a wrong selection will lead you to frustration and disappointment, and you'd be lucky if it ends without litigation. In fact, selection of your pilot client is so important that I suggest you do it with a fine-tooth comb. Don't take anything for granted and validate every assumption before moving on to the next question. In need of a full-blown custom system, without the budget. Start from an existing custom software which has (almost) all the pieces you need, then generalize it for the whole industry. Again, there are a number of issues to watch for, in each of these choices. Notice, however, that in evaluating them, you're going to be wearing both your business and technical hats at all times. When you develop everything from scratch, you're dealing with an ideal approach that may work out just fine for you, or it may turn out to be too expensive and take too long. On the other hand, you don't have to worry about left-over bugs or obsolete coding techniques in an existing system. You won't be paying any royalties to a base product either. Extending an existing system which has the basics will probably get you there the fastest. You'll compromise the existing techniques and can't (legally!) dodge the royalties. However, you'll benefit from the marketing arm of the base product by listing yourself as an add-on developer in their product directory. From a technical design viewpoint, it's preferable if the interface between your add-on extensions and the base product is object oriented, so that you don't have to mess with the source code of the base product as much. Realistically, however, this is not going to happen very often and you'd have no choice but to open up the source code of the base product and make surgical changes in every corner. As for generalizing an existing custom package, if you've already got one, examine the possibility of using it, as long as you don't feel obligated to do so. In every aspect of the design process, you'll be constantly facing the trade-off between specific and immediate needs of the pilot client vs. the more general and future needs of the industry. While re-assuring the pilot client that their needs will be met, don't lose sight of the industry in general, which is the ultimate goal of the final product. I'm going to close my discussion of the development plan with a final note. Although my focus here in on development of a commercial software product, you must also remember to consider all other things you'd be normally doing in any large-scale software development project. Staffing of the project is a good example, where you'd not only be looking at the skills and the compensation terms, but also at the logistics and the chemistry among the team members. From the pilot client's point of view, things may look quite differently. They may not care as much about the development approach we just went through, but they would certainly argue about every bit of its outcome. Let me explain this a little more. If you recall, one of the main criteria in selection of the pilot client was that they would understand the deal about "having to compromise." Chances are that by the time you're half-way through the development, they'll begin to realize the true deal. What's going to happen next? They don't care about future marketing anymore and want everything customized and fast. And to make matters worse, while you're using all your crisis management tricks to calm them down, you'll face some "minor" technical difficulties: programs grow beyond available memory, files are too big to manage and you forgot to implement an archival plan, and process is too slow, to name a few. Well, nobody said it's going to be an easy task! If you ever get this far (g), you'll begin your marketing efforts toward the end of the deal with the pilot client. Your basic marketing decisions will be pricing and advertising. As for pricing, you need to have an objective first. If you're just trying to sell your product and stay out of other deals with your clients, then you have to price it competitively. On the other hand, if you're hoping that your product will get your foot in the door for additional services to the client, then you'll have more flexibility to price it arbitrarily. Designing an attractive brochure and developing a demo disk that highlights industry-specific functions and buzz-words will boost your image and work to your advantage. At the conclusion, you'll look back to see what lessons you've learned, whether it was worth it, and would you do it again. Chances are that your first effort might fail and you second one will only be used by the pilot client. Once you've survived that, the third one is going be a charm.